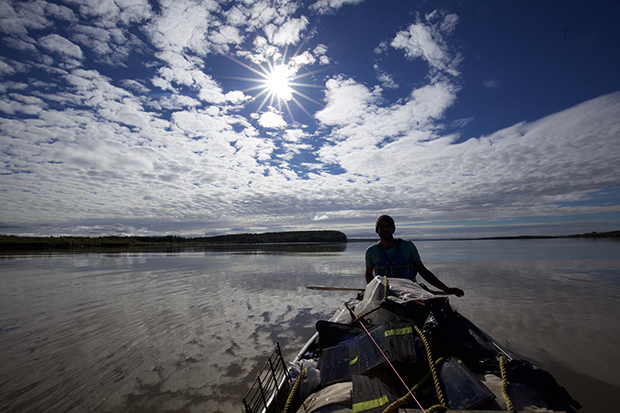 Kings of the Yukon is the account of how Adam Weymouth travelled 2,000 miles by canoe down the Yukon River to trace the life of the king salmon. Even if you have no previous interest in fishing or the arctic wilderness, you will immediately be drawn into this fascinating tale of how nature and culture are precariously intertwined in the fragile landscapes of northern Canada and Alaska. 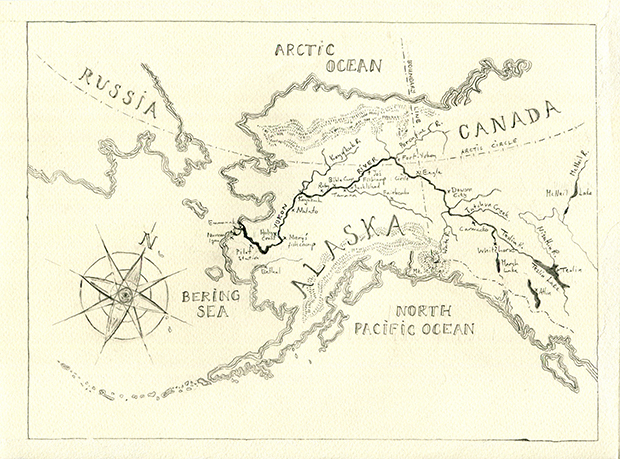 From his houseboat on the Lea, it takes Weymouth three days to reach McNeil Lake, the salmon spawning ground most distant from the Bering Sea where the Yukon eventually emerges. The king salmon, known in Canada as the Chinook, forms an integral part of the lifeblood of the communities that fringe the river. “The history of the salmon is the history of this land”, as Weymouth succinctly puts it. Fishing for these fleshy beasts – which once ranged up to 100lb in weight – is a core element in the traditional cultures of the indigenous Tlingit, Tr’ondëk Hwëch, Athabascan and Yup’ik peoples. Yet salmon numbers have dropped precipitously in recent years, leading to agonising choices between preserving fish stocks and maintaining the way of life of communities whose culture is bound up in the annual fish camps where salmon are caught and preserved for the winter. Following full-scale fishing bans in 2014 and 2015, the compromise that has been reached is limited subsistence fishing rights during ‘openings’ announced often only a few hours in advance. When these are broadcast on local radio, villagers scramble to assemble their skiffs, nets and fish traps. The cause of the decline in fish stocks is complex and not entirely understood. Historic over-fishing has certainly played a big role, as it has also in Europe, where salmon have long since disappeared from the Thames and other waterways. More recently, climate change has also been implicated in plummeting salmon numbers in Canada and Alaska. The signs of warming are everywhere apparent in the land Weymouth travels through – melting permafrost has led to the erosion of riverbanks, dangerous floods have become more common, and wildfires have reached communities in the arctic that have no name for them in their language, as forests have crept up to areas previously barren. As a result there has even been interbreeding of ice-loving polar and forest-dwelling grizzly bears, producing offspring dubbed ‘pizzlies’ or ‘grolars’. Weymouth’s story of the landscape he traverses is woven with accounts of people met along the way. These include Percy Henry, an eighty-nine-year-old Tr’ondëk Hwëch elder who laments ruefully that “the world was good, but we ruined it”. This is a theme that reverberates throughout the book – over-exploitation of the land and the consequent degradation of local livelihoods. Further downriver, Weymouth meets Andy Bassich, originally from Maryland, whose home on the banks of the Yukon has been destroyed twice by floods. The upheaval eventually wrecked his relationship also, when his partner Kate left for Vancouver Island. Speaking to Weymouth by phone, Kate quotes a local saying sums up the challenges for women on the Alaskan dating market: ‘the odds are good but the goods are odd’. Those who choose to move to the north tend to have idiosyncrasies. Paul, an evolution sceptic from Russia, preaches at a bible camp a hundred miles from the nearest town, ending his sermon with the ominous words “tomorrow we will talk about depravity”. Weymouth’s stop nearby provides an opportunity for him the recount the cultural devastation visited on the native tribes starting in the late 19th century when their children were taken from them and sent to Christian boarding schools to ‘civilise’ them. An estimated 50 per cent of these children were sexually abused while at the schools, and the natives attribute the rise in alcoholism in their communities to the pain caused by having their children sent away. One such child was Mary Demientieff, 84 years old when Weymouth stops at her fish camp. Mary had twelve children and worked for 33 years in the canteen of the school she was brought to as a child. Despite her early trauma, she has had a good life, but the changes she has seeing in nature bother her. She says the earth has turned on its axis, and everything is happening earlier than it would in a normal year. Kings of the Yukon is a rare glimpse of a world on the precipice, its age-old physical and cultural cycles dangerously out of kilter. All the more reason to read this book now and ponder the future it portends. 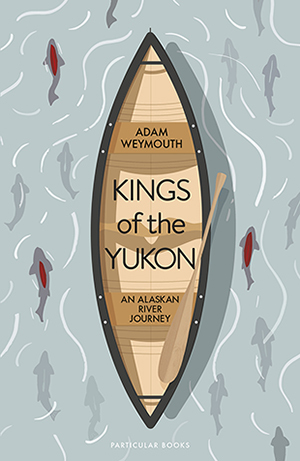 Kings of the Yukon: An Alaskan River Journey by Adam Weymouth is published by Particular Books. ISBN: 978-0-241-27040-0; RRP: £16.99.